The LittleBigFund collects small charitable donations to form a big fund that is then given to one nonprofit determined by donor vote has just launched. A crowdfunding nonprofit organization, launched June 8th to collect small charitable donations to form a big fund that is then given to one nonprofit determined by donor vote. How does the LittleBigFund work? Working with three regionally focused nonprofit organizations a month, The LittleBigFund tells each nonprofit’s story, promotes their cause, and then lets donors vote for the organization they believe is most deserving of the fund they raised together. At the end of the month, the organization whose story resonated the most with the donors receives the entire fund. All organizations receive assets to use in their future fundraising campaigns. The LittleBigFund is, at its core, a storyteller – and not just for nonprofits, but for donors. With direct access to the nonprofit that receives the gift, donors feel like they made a huge impact with a small action. The site continues to gather stories from the organization that received the fund, giving donors tangible results. The site takes crowdfunding to the next level, by making sure each donation matters. Preselecting, vetting, and working with only three nonprofits a month ensures that each cause is legitimate, responsible, interesting and deserving. With a focus on monthly recurring donations, it empowers donors to feel that their small donations make a big difference. 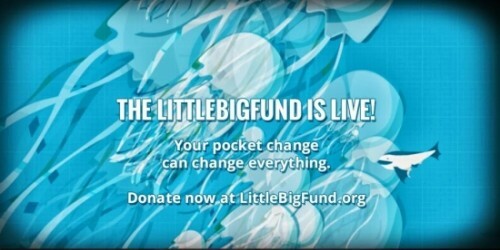 The LittleBigFund takes a zero percent cut of donations and is supported entirely through optional donations. It is current seeking tax exempt. How can I contribute to the LittleBigFund? It’s easy! Visit the site and read about the three nonprofit/charity organizations that have been pre-selected. Then select your donation amount; we’ve made contributing as simple as possible. Once you’ve made your contribution you can then vote for the nonprofit you’ve like to see the funds go toward. At the end of the month the funds are given to the charity with the most votes! For more information or to donate visit the site. For up to date info visit the blog. You can follow the LittleBigFund on social media too! We’re on Google+, Facebook, and Twitter!